Khan was advised on Wednesday in detail on different key insight and national security matters by senior ISI authorities. 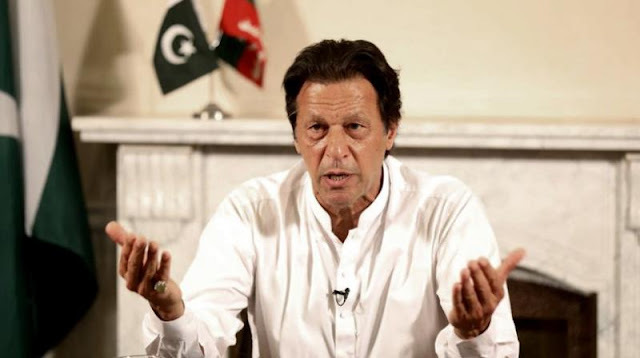 Pakistan PM Imran Khan disclosed to ISI authorities that his govt and individuals of nation solidly remained behind the military and insight offices. Islamabad: Pakistan Prime Minister Imran Khan has depicted the ISI as "our first line of resistance" as he visited out of the blue the base camp of the intense covert operative organization. Khan, alongside senior Cabinet clergymen, was advised on Wednesday in detail on the different key insight and national security matters by the senior authorities of the Inter-Services Intelligence, an official explanation said. "The Prime Minister praised commitments of the ISI towards national security, particularly in the continuous counterterrorism exertion. The Prime Minister said that the ISI is our first line of safeguard and emerges as best insight organization of the world," the announcement issued by the Inter-Services Public Relations (ISPR), the media wing of the military said. Khan, who was confirmed as the 22nd leader on August 18, has just visited the General Headquarters of Pakistan Army twice – first to get a top to bottom preparation on the interior security and geo-key circumstance and after that to go to the Defense and Martyrs Day service on September 6. Khan has been blamed by his commentators for being the security foundation's man. The Pakistan Muslim League-Nawaz (PML-N) party has blamed him for achieving the Prime Minister House through the help of the ground-breaking security foundation. Khan disclosed to ISI authorities that his legislature and the general population of Pakistan solidly remained behind the military and insight organizations and recognized the "extraordinary accomplishments" of these foundations, the announcement said. Prior, Army boss Gen Qamar Javed Bajwa and ISI Director General Lt Gen Naveed Mukhtar got Khan on his landing.